Our brand new Circus Cup is available in a carnival of colours! We've designed this cup to be compact and sturdy - perfect for long-lasting promotions. The hardwearing material and bright choice of colours, including solid and translucent colours, will really get your brand seen. 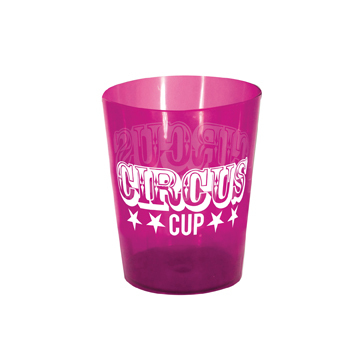 The Circus Cup is ideal for use in schools, at festivals, special events and much more! 300ml capacity.